With a background in environmental education and an avowed interest in connecting to nature, you’d think my children would be outside all the time. Well, at least I’d like to think that I could have little adventure explorers who would never ask to watch anything on a screen. Not so. I blame it partly on moving. The first time my son watched a video other than Yoga Kids was when we moved when he was three; that time helped me back and attend to so many decisions that couldn’t wait until he went to bed, and naps were already a thing of the past then. 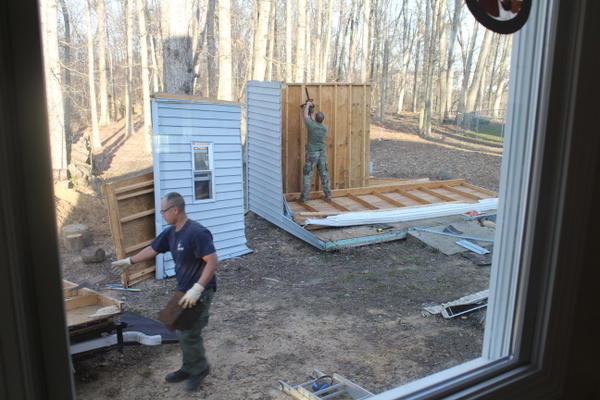 Then we moved again three years later on the heels of doing a six-month renovation to the house next door. It was either buy the as is-condition house owned by hoarders (with the much bigger lot) and turn it into my wannabe-architect husband’s dream project or watch someone buy it and build who knows what to cast a literal shadow on our home. So even though my daughter was only a year old, we took on the project. And boy, did it take toll. 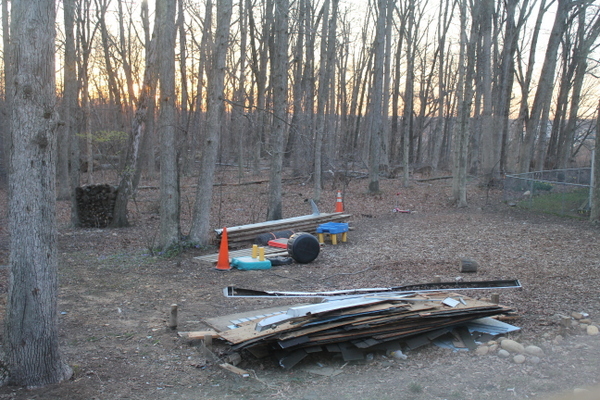 There were so many oodles of decisions and so little leeway with money, it took us another 6 months to find someone to dismantle the huge shed in the middle of the yard for free, another 3 months to have a deck built so that we could actually exit instead of look longingly out the back door that had a bar across it, and then another 3 months to clean up all the random trash and construction debris that would make it safe to seed with grass. 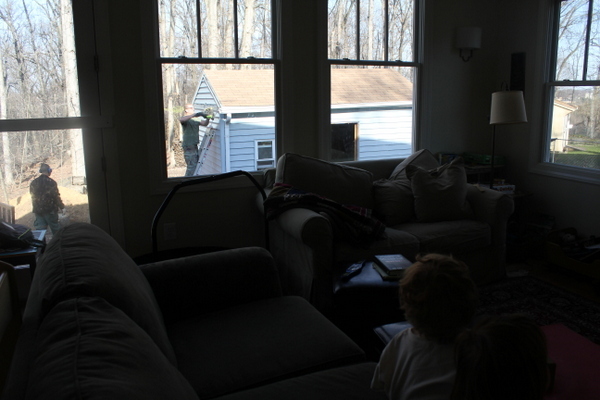 During that time, my kids, I’m afraid they got pretty used to being inside. Sure, we got to the park down the street sometimes, but cooking often trumped that. So I blame the inside-staying partly on my health needs. It’s a paradox. We are all happier and healthier when we’ve been outdoors, but I also need to make nearly all my food from scratch or I get ill. And I have not found a way to consistently have dinner prepared ahead. 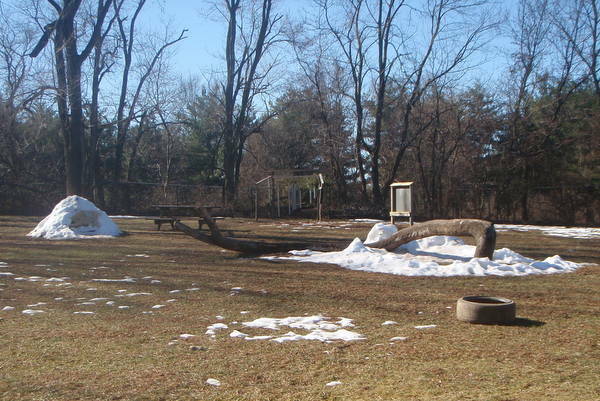 When I recently attended a meeting of NoVA Outside, an alliance of environmental educators with the tagline, “Kids grow better outside,” I learned about some great outdoor learning programs that only fueled my frustration that our public school follows county directions to stay inside when the temperatures are below 34 degrees. It’s an Expeditionary Learning school, but the kids have not been stretching their legs in cold or even in rain. 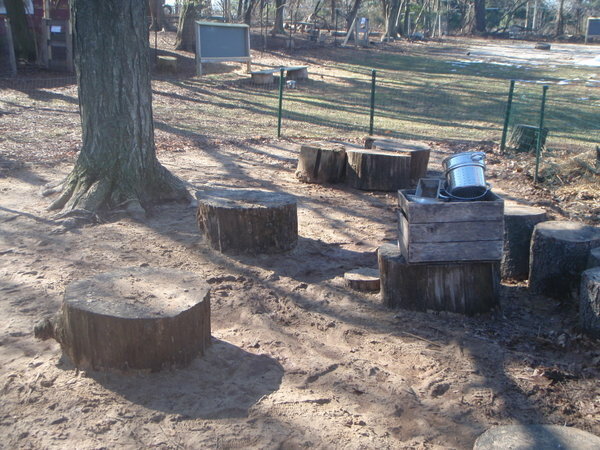 My daughter is enjoying the Montessori program there, but when I started looking into other programs to write this article on outdoor-happy preschools, I drooled just a little and sighed a lot. On Saturday, I got a chance to explore the beautiful Eastern Ridge School, where children spend lots of time outside every day. It’s a big commute for us, so you’re balancing time in the car with the experience at the school. And there are so many reasons why I think it’s important for us to be in public schools, close to home. Simplicity is one, social justice another. But for camp this summer, I’m thinking that being around people who place such a value on exploration and risk, and being in a community of learners who see the outdoors for the wondrousness it is rather than as something apart from the world of Mommy and Dinosaur Train, my children might start to appreciate the woods right outside their back door. That’s already begun somewhat, now that we have grass instead of glass-littered mud and a garden instead of overgrown weeds and poison ivy. But I’m still working to incorporate times outside as necessary parts of our after-school rhythm. Walks around the block at 5:30 just before eating dinner, obstacle courses with buckets and anything you have to run around. Every little bit helps. And so did this weekend’s weather! 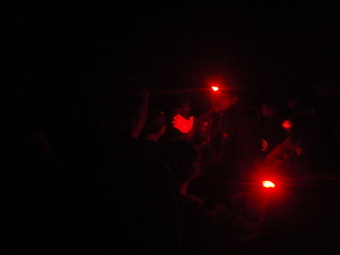 Saturday night, I got to go on a night hike with my son, who at almost 8 was one of the younger children participating in this event with his chapter of Jr. Navigators, a co-ed scouting group. Leading night hikes was one of my favorite things about teaching at The Environmental Schools in southern coastal Maine. Children came with their schools for a week to learn about ocean and forest ecology. One evening each child would have the chance to walk through part of Ferry Beach State Park alone. I loved knowing each experience a slice of calm unlike any he or she had before. This night hike was also magical. Lit only by a few red headlamps, the DC-area sky and the occasional plane making its way to Reagan National Airport, the children learned to trust their bodies and their adjusting eyes. We heard a barred owl, looked up at stars (which we could actually see! 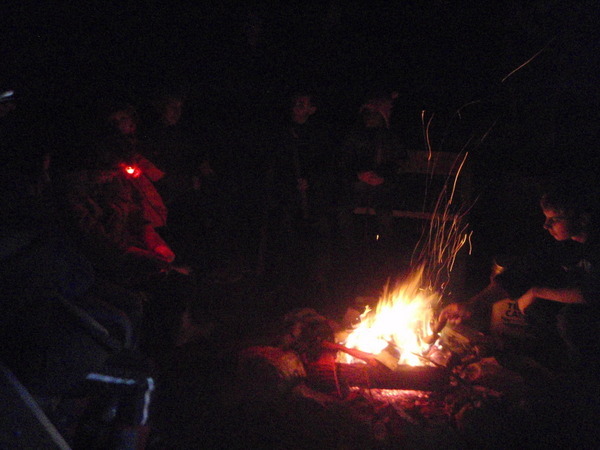 ), and enjoyed the beauty of a campfire. Okay, the kids also had s’mores and some identified marshmallows as the best part of the night, much to my chagrin. But my son could not stop talking about how awesome the night was, and I know he didn’t mean the sugar. As my children get older, I can see this getting easier, if not yet easy. Although I feel like I’ve had tunnel vision for nearly the last two years — literally creating and then setting up a home in a way that might make sense for our family, and finding it a challenge to even figure out sometimes what that means — I do think my path is leading back to a more balanced life that sees inside and out as connected and maybe someday even integrated. How do other urban and suburban-dwellers make the outdoors a regular part of their lives? How does anyone — even if you live in the country — manage to balance the need for supervision and safety of little ones with the need to attend to inside chores if you don’t have childcare, family or neighbors to help? Previous Post: « Happier at home … by staying at home?